Programmatic Advertising is a revolution but evolving it further is the key to this innovation. 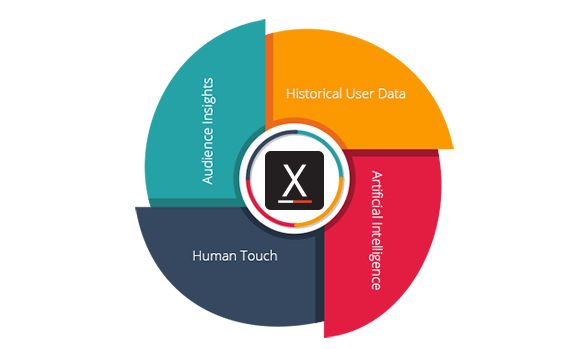 Meet our dynamic and powerful AI, Xerxes, that connects Audience Insights, Historical User Data, Artificial Intelligence, and Human Touch and is evolving the Digital Advertisement world forever. ‘Xerxes’ will lead a paradigm shift in digital advertising by strengthening our Programmatic Ecosystem by bringing in Demand Partners, Supply Allies, and Quality tools, to offer a one-stop solution to various aspects of our industry. Xapads Media, a holistic programmatic ecosystem helps connect brands with their respective publisher across all formats and devices. Xapads brings logistical infrastructure to connect DSPs, Advertisers, SSPs, Publishers and App Developers in this alluring Digital Ecosystem. With our breakthrough technology we team historical user data and artificial intelligence that achieve performance goals. With advanced machine learning and our business knowledge we create a boutique of custom solutions which help us achieve every unique requirement of our clients. Reach your audience with our innovational multi-device video technology. We offer a premium, all-inclusive, brand-safe marketplace across CTV, Apps, Desktop and Mobile Web.